In the picture above, the soft fog in the air is humidity on any spring or summer morning before the sun comes up with its haunting and mysterious beauty. When you want the best humidifiers for any room of your home you will surely want the top-rated ones available for providing moisture. The humidifiers for your bedroom are reviewed below along with the humidifiers for your baby. Humidifiers will provide steam water vapor for increasing the relative humidity in your home. Read more about it at the link if you don’t fully understand relative humidity. Humidity is the quantity of water vapor in the air that is foggy, hazy, and looks like steam. Humidity is usually higher in the summer as I can attest to living in the Midwest USA. In the dryer climates, such as mountain and desert states, humidity is almost nonexistent. High humidity makes you feel damp and muggy feeling sticky-clammy. In the wintertime, humidity is lower, and homes should have humidity levels from 30- to 60-percent. We can’t do anything about the outdoor humidity however. You never want your humidity to be either too high or too low that can cause breathing and skin problems. This will produce condensation on your windows. The house will feel as though you are living in a Turkish bath making it hard to breathe and the air will feel suffocating as though there is no air. It will cause mold spores that you cannot see and mildew that you can see. Bacteria will grow, and dust mites love it. Those with asthma, allergies, COPD, and emphysema will suffer and other respiratory problems can develop. When you don’t have enough humidity in your home, skin becomes dry and cracks. Your nose feels stuffed up and the mucous becomes dry and hard. Eyelids itch and coughing will occur when your throat is too dry. Dryness causes static electricity for hair to fly, doorknobs to give that uncomfortable shock while clothing clings to your body. For the best health at all times, have your house humidity set for providing comfort without suffering the effects when your home moisture is too low or high. Many people think humidifiers and diffusers are the same. Each unit listed here has its own distinctive benefits. The only similarly is that all three types produce moisture. However, an ultrasonic diffuser only emits a small amount of vapor with or without essential oils added to the water. There are three types of units to release vapor. The humidifier adds valuable moisture to the air inside your home. 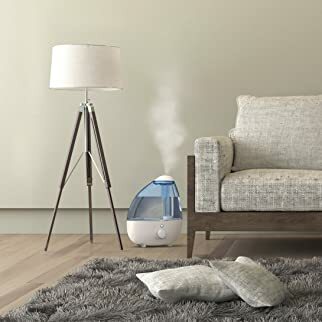 The diffuser uses essential oils to make the air smell like heaven with a small amount of moisture that is not as plentiful as a humidifier or vaporizer. Some brands use a tray for adding medications and essential oils. With the vaporizer, you can put medication or essential oils in specific brands made exclusively to do that. The medicated vapors help babies and others when they have a cold or the flu. Alternatively, you can run it with only water. You want to select the appropriate top-rated humidifier where you plan to use it and for what purpose. When you live in a dry arid climate you will need humidity for sick babies, kids, and adults too. Humidifiers will eliminate the static electricity in the air in your house. These are the topics you will want to think about before purchasing a humidifying unit for the most benefits. The best humidifiers for performance will give you the gallons of water used over 24-hours. The brands will give you the square-feet of area they will cover and humidity levels they perform at. Both warm- or cool-mist can be produced by ultrasonic humidifiers depending on the brand you choose. The warm-mist units use the heating element inside to warm the cool water you put into it to about a safe 104-degrees F. It would scald a child if tipped over. It might be more practical to use a cool-mist device around infants, pets, and the elderly. The cool-mist humidifiers use cold water for a cool mist. Remember that the warm mist will become cool once it hits the air. Where you intend to use your humidifier is important to know. Your first goal is to know if it will fit the area where you plan to use it. You will need to measure that area to see if it will fit. You don’t want it to be in foot traffic area to tip over or cause someone to fall. The humidifier you choose should have handles for a larger unit and all of them able to be carried to your sink for refilling the water tank. Lightweight ones are easy to pickup and carry at the sides. You don’t actually need the two instruments or meters discussed below, but they are handy for measuring humidity and controlling it to the desired level. The devices are also called gauges for calculating humidity. These gauges whether analog knobs or digital buttons are convenient devices and are inexpensive as separate wall units or as a part of the humidifier built in. Some unit hygrometers show the humidity level and will shut the humidifier off automatically. Humidistats are important since a unit without a gauge will continue to put mist into the air until you shut the unit off manually. Hygrometers measure the relative humidity in the air. It needs to know the temperature of the room to give the measurement. Both meters can be purchased as separate units to attach to your wall. Most of the best room humidifiers will have a humidistat to regulate the humidity in your house at Amazon.com® at affordable prices. The comfort of your home will be greatly improved when you use a humidifier to meet your needs. Use the guidelines below for selecting your ideal humidifier for you and your family. 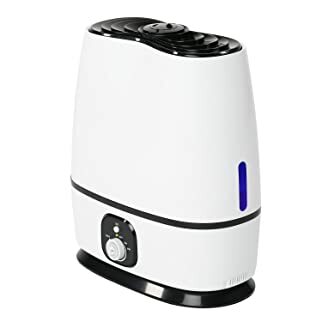 Square Footage Area of Coverage—a portable or room size humidifier will keep your level of humidity comfortable and will not cost you an arm or leg or your first-born child! Some people don’t understand how to measure square feet, so I’ll help you with that. If your room to be humidified is 12-feet long by 15-feet wide, multiply both numbers: 12 x 15=180-square feet. Just use the dimensions: 10 x 12 or 15 x 15 or whatever your room size is and multiply with the answer there for you. Sound Levels—table top units are fairly quiet. Warm-mist units will produce some hissing and boiling water sounds. A floor console unit should be ideally placed away from bedrooms because they are somewhat noisier. Table top units are not exactly whisper quiet, but they never kept me awake. Kids sleep right through a slight noise—it is soothing. Water Type—I prefer not to use tap water from the sink faucet in humidifiers or diffusers because it is loaded with minerals and lime scale. Your units will need more cleaning maintenance to remove it. Distilled water is cheap at only about $1 per gallon at most stores. Plus, using distilled or purified water means no one breathes in those minerals. Tap water with the minerals will leave a white dusty deposit on furniture or floors wherever it sits. Humidifier Capacity—does not mean the amount of water the tank will hold. Capacity simply means the amount of mist sent into the air you breathe. The table top units have a smaller tank size than the console type, so they will need to be filled more each day for a 2-gallon output capacity humidifier. The higher you set the unit to mist, the more water it will use. You might want to put it on the low setting. Warm- or Cool-Misting—humidifiers are your personal choice. Remember that the warm mist can burn people if it falls over. If you like the warm-mist with medication containers, check out some of the brands that function this way shown below. More Features—are available with units having mist adjustments, 360-degree turning nozzles on top, timers for hours to run and shut down, essential oil or medication trays on specialized models, night lights, and a LED display screen for being easy to read, and to automatically shut off when the water is low. Higher-end models will have humidistats built in. The electricity used to run a humidifier is negligible. It’s about the same each month as a 50-Watt lightbulb around 10 cents! Be sure to buy a humidifier or vaporizer that shuts off automatically when the water is low or gone. Some models will beep to let you know when the water is low needing to be refilled. Transparent bodies on humidifiers will let you see the water inside. The best humidifier for baby means never putting it so close to your young toddler or baby that he or she can pull it down on themselves. Be sure the cord is not easy to reach by them. If you use a warm-mist, it’s even more important not to be close because they will be scalded from the hot water in the tank. It’s always nice to buy from a reputable company that offers a 1-year Warranty or more. It gives buyers confidence that if something goes wrong they can have it replaced. A positive customer focused team is always best for when you make phone calls. Be sure the company provides a toll-free number or live chat and even a contact us button. 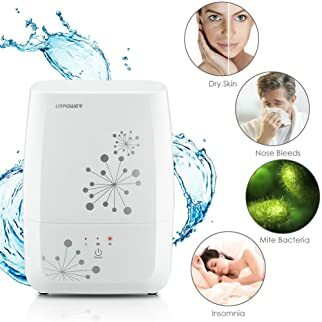 Read the best room humidifier reviews below for choices in features that you will find to be the best-selling and most affordable. Water Capacity 1.06 gal. 1 gal. 1.6 gal. 1.6 gal. 1.06 gal. 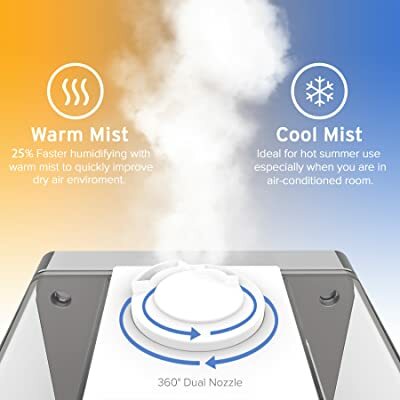 The TaoTronics cool-mist humidifier, Item model number TT-AH001 on Amazon.com®, is a top selling humidifier with an LED display screen, adjustable humidity control humidistat and misting levels with a timer to set for your needs. Being extremely quiet at 38 dB (decibels), you and the kids can sleep all night with no disturbances. This is about the same sound level as a cat purring. 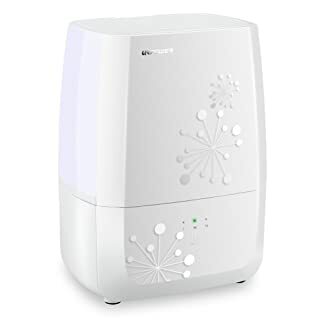 It is the best humidifier for bedrooms, baby nurseries, professional spas, studios, and anywhere you need more humidity. With its microporous cartridge inside the cap, it filters the water of any microorganisms and impurities for refreshing fresh humidified air. Wash the cartridge about once a week if you use it a lot. Choose how much humidity you want with the humidity sensor and the unit will shut off/pause when it reaches that level. When your skin is suffering from winter’s dry air, set the humidity to the level you like best to cover a small room area from 66- to 82-square feet. It will shut off automatically when low on water with an icon on top of the display to show you. The unit will run up to 15-hours using the timer to mist holding 1.06-gallons of water. Those 15 hours running should get you through the day and part way through the night. Just add more water before going to bed for it to run all night long setting it to the sleep mode that turns off the LED light. A convenient feature is the 360-degree rotating nozzle to put it where you want it to mist. Use it in your baby’s nursery, kids’ rooms, or your room. Distilled water is always best to use to avoid the white dust on your furniture from minerals in tap water. The dimensions are 12-inches tall x 8-inches wide x 4.5-inches deep. Plug the 5-foot UL® listed cord into a 110/120-Volt, 50/60-Hz receptacle in North America for USA and Canadian users. All other countries will need to buy a 220/240-Volt adapter to have it operate. The output power is 30-Watts. Important Note: This is not a cool-mist aromatherapy diffuser! Do not put essential oils into this unit or it will be ruined forever. Buy a diffuser for that purpose. Gift-wrapping is available for friends and loved ones. It comes with a User’s Manual and 1-year manufacturer’s Warranty. It’s made in China. TaoTronics TT-AH001 humidifier review video. The Pure Enrichment® model number PEHUMLRG will give you relief for a long-time period with its cool-mist vapor. The humidifier sells well on Amazon.com® with positive customer reviews. This unit does not use filters. Depending on what you have the mist level set for, it will run from 10- to 24-hours with its 1-gallon water tank covering 500-square feet providing moisture output of 250 mL per hour. The maximum run time is 15-hours nonstop. It is ideal for large living rooms, bedrooms, offices, and kitchen too. Use it in your child’s bedroom when she or he has colds or congestion. Place it on top of furniture or on the floor for using. The 2 nozzles allow you to adjust the mist coming out and you can use only 1 or both. When the water tank is low on water, it shuts down automatically. The night light is blue, green, or red to choose from and your kids will love that sleeping at night. The lights can be turned off and it’s very quiet. It does not have a humidistat humidity sensor using only a knob on the front for the amount of vapor you want dispersed in the room. It does not have a timer, but you could attach a timer at the outlet. 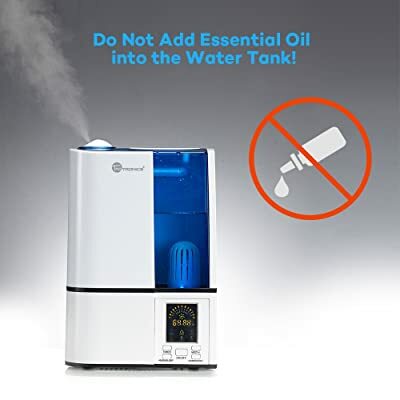 Note: Do not put essential oils in this humidifier. It will destroy it. Buy a diffuser. The dimensions are 12.5-inches tall x 10-inches wide x 7.5-inches deep. Plug the UL® listed cord into a 110/120-Volt, 50/60-Hz receptacle in North America for USA and Canadian users. All other countries will need to buy a 220/240-Volt adapter to have it operate. The output power is 25-Watts. The power cord does not detach from the base. Gift-wrapping is available for friends and loved ones. It comes with a User’s Manual and a free cleaning brush plus a 5-year manufacturer’s Warranty. It’s made in China. Pure Enrichment® cool-mist humidifier MUST HAVE!! 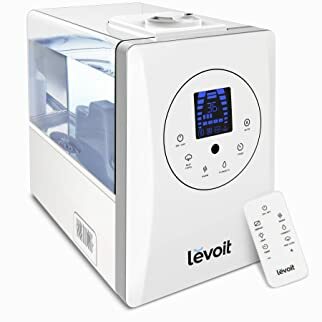 The Levoit humidifier, model number LV600HH and ASIN number B01MYGNGKK on Amazon.com®, is a great selling unit that customers love. It has a remote-control unit with many convenient features in a humidifier. It does not use filters. You will like having the small handle at the top to carry it. It holds 1.6-gallons of water and is the best humidifier for baby nurseries and any room in your home. In the auto mode it uses its humidity sensing humidistat releasing just the right amount of moisture. You can program the level of humidity you want from 40- to 80% relative humidity and it stays at that level until you change it. The handheld remote lets you set the mist level, the timer, and whether you want it to mist warm or cool from 16-feet away from the unit. The built-in timer lets you program it from 1- to 12-hours. When the timer has counted down, the unit automatically shuts off. Your kids will be delighted with the LED lights that can be turned off. Set it at 3 different levels of Auto Mode, Humidity Mode, or Sleep Mode. The dual nozzles turn 360-degrees and the warm-mist function heats up 25% faster than other warm-mist models. The cool-mist mode is ideal when you run your air conditioner on hot dry days. For those of you who want to use 100% essential oils, this unit does it! Simply add a few drops of your favorite to the aroma box, fill with water, set your timer, and turn it on. The humidifier is whisper-quiet at 36 dB. The tank is made of ABS (Acetyl Butylene Styrene) plastic and is CE and ETL certified. Plug the UL® listed cord into a 110/120-Volt, 50/60-Hz receptacle in North America for USA and Canadian users. All other countries will need to buy a 220/240-Volt adapter to have it operate. The output power is 280-Watts. Gift-wrapping is available for friends and loved ones. It comes with a User’s Manual and 2 extra aroma pads and absorption pads plus a 2-year manufacturer’s Warranty and lifetime support. It’s made in China. Levoit LV600HH cool- and warm-mist ultrasonic humidifier review. The Everlasting Comfort, ASIN B074MP9DK2 on Amazon.com® is a spectacular unit with 2 each 360-degree nozzles, is very quiet with an automatic shut off, and night light. Customers love it and so do I! For all of you essential oil lovers, it has a tray for your oils on the side. With no filters to clean, you are freed up from that task. With the 1.6-gallon water tank, you can let it run all night while you sleep lasting 50-hours before water refilling. Its high mist output is 270 mL per hour and will cover a room area of 400-square feet. Your relative humidity will be above 43% to lessen bacteria causing cold germs. You can turn the nightlight off if you don’t want it to disturb you when sleeping with its super quiet fan. The unit is controlled by a knob from low to high mist and the more mist you put into the area the more humidity you get. It does not have a humidistat built into the unit. The dimensions are 13-inches tall x 10.5-inches wide x 5.5-inches deep. The power cord is attached to the base and is not removable. Plug the UL® listed cord into a 110/120-Volt, 50/60-Hz receptacle in North America for USA and Canadian users. All other countries will need to buy a 220/240-Volt adapter to have it operate. Gift-wrapping is available for friends and loved ones. It comes with a User’s Manual and hassle-free returns. If your unit is defective or broken, Everlasting Comfort will ship you a new one absolutely free. You don’t even need to send your old unit back to Amazon! It’s made in China. The URPOWER model number MH-401 is an updated 1.06-gallon size water tank with 3 mist levels of low, medium, and high with a sleep mode function. It sells well on Amazon.com® having a stunning snowflake looking design as I call it. Your friends will be jealous when you have this in your home adding a touch of elegance to any room. Use this in your infant’s nursery, kid and teenager’s rooms, family room, living room, professional studios, your office, and any space that needs more humidity. It has a whisper-quiet fan to not disturb anyone and it automatically shuts off when water is low as well with no beep sound. It has a small plastic filter under the lid top that is easy to clean. The running time is up to 12-hours to get you through the night without water refills. It is made of BPA-free plastic to be safe for babies and kids. It does not have a humidistat and you cannot use essential oils in this unit because there is no oil tray. The dimensions are 11.6-inches tall x 8.4-inches wide x 6-inches deep. It weighs under 3-pounds. The power cord is hard wired to the base and is not removable. Gift-wrapping is available for friends and loved ones. It comes with a User’s Manual and a 1-year Warranty; your satisfaction is always guaranteed. It’s made in China. Do not put the unit too close to wood furniture, walls, or electronics. Do not put essential oils directly into the water; use the pad instead for the units that offer the oil tray. Do not use hot water—only use cold water. Use distilled water for the best performance of the unit. Tap water has minerals and lime scale to clog up the unit and is hard to get off. It also produces white dust on your furniture and floors. The moisture that goes up into the air must fall down—that’s gravity. To eliminate wetness on your floor, carpet, or furniture, put a flower pot bottom under the humidifier. The humidifiers reviewed here do not use batteries. Always unplug the unit from the wall before filling with water and cleaning. Follow the manufacturer’s instructions for how to clean your humidifier. 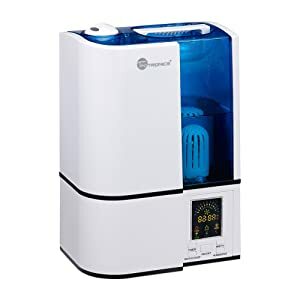 I hope this guide and reviews have been a helpful insightful for you when looking to buy the best home humidifier for winter and summer. Furnaces running in the winter dry out the air in your home. Conversely, air conditioners in the summer remove humidity in your home as well. Humidifiers are wonderful to have in times of emergencies when kids have colds. Maintain your humidifier and it will last for many years. When it concerns your health, knowing the relative humidity level in your home, office, business, basement, or warehouse is essential. If you have a small green house for plants in a dry climate, a few humidifiers would benefit those plants for them to be happy. You are welcome to leave comments and questions below and I will reply to each one of you. Happy Shopping! Thank you for all the useful information. Great website! Thanks for the detailed information!! Thank you for the useful and detailed information! Lots of good info, I know much more about which I would need for my home now. Very clear and concise information explaining the different ways to add humidity to your home when needed. Never knew the difference in all of them. This really cleared it up so I can choose the right product for what they are looking for. Your information has been so helpful. 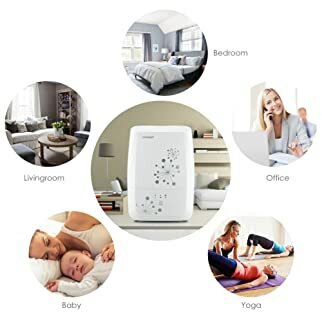 I’ve been able to pick out diffusers because of your website and now I’d like to get a humidifier for in my house to run when the weather is dry. My husband has allergies which have lead to bronchitis and pneumonia. My daughter has a syndrome called dysautonomia so I really dry to use the diffusers with my doTerra oils to help her. I love reading all that you have to say. This was an enormous amount of information: A goo deal of which was unfailiar. I have some allergy symptoms that I believe could be helped by these products. A well-written and informative review.